A summer haze settles over Kyoto, lending itself to long, festive days and colorful nights with fireflies blinking lazily over the clear waters of the city. 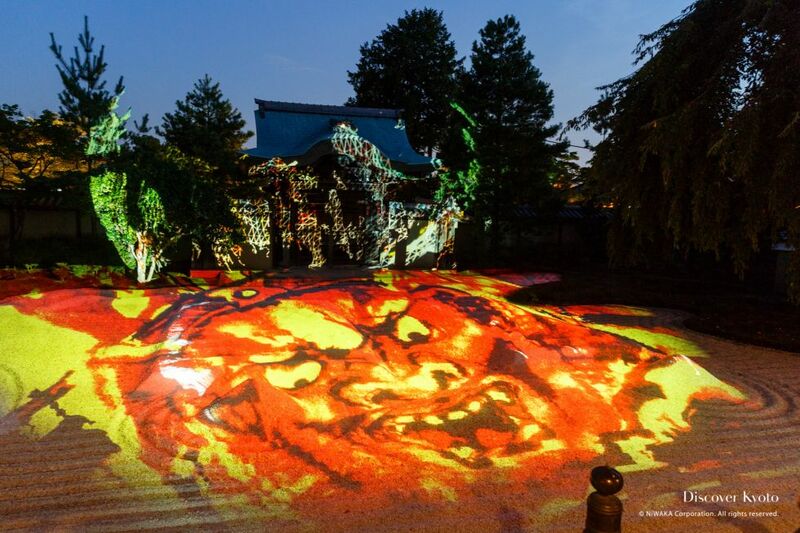 Dominated by the Gion Festival, a month-long celebration composed of multiple events and rituals, July in Kyoto is full of stunning and exciting sights. 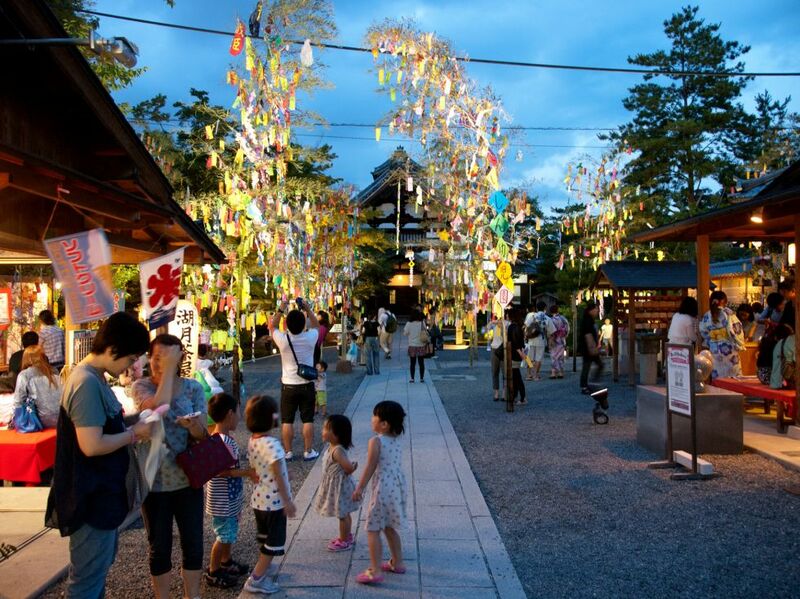 The heat can be overwhelming when the sun is at its height, but once night falls the city becomes livelier and people flock to view fireflies, enjoy the popular Gion Festival events, or head to the mountain areas for a breath of cool air. 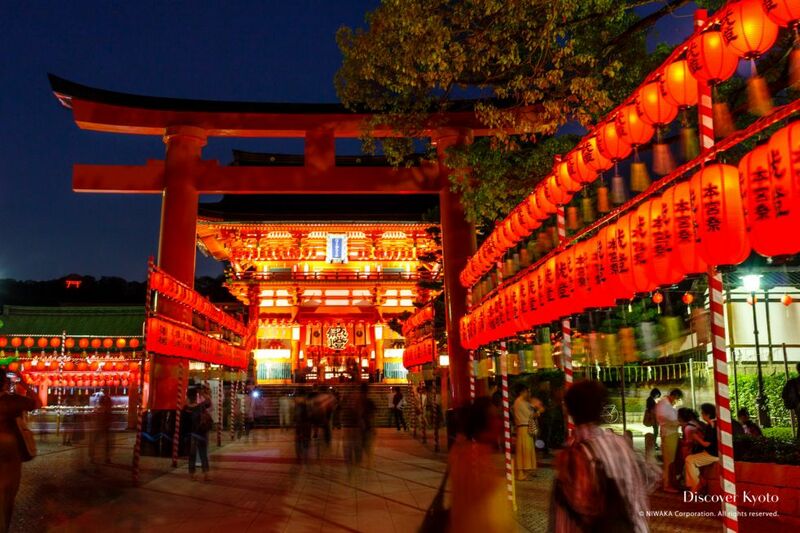 One of the most famous festivals in all of Japan, July in Kyoto is completely dominated by the Gion Festival. Special bamboo branches decorated by young children are set up along the main path for visitors to enjoy, and the gardens are also illuminated. 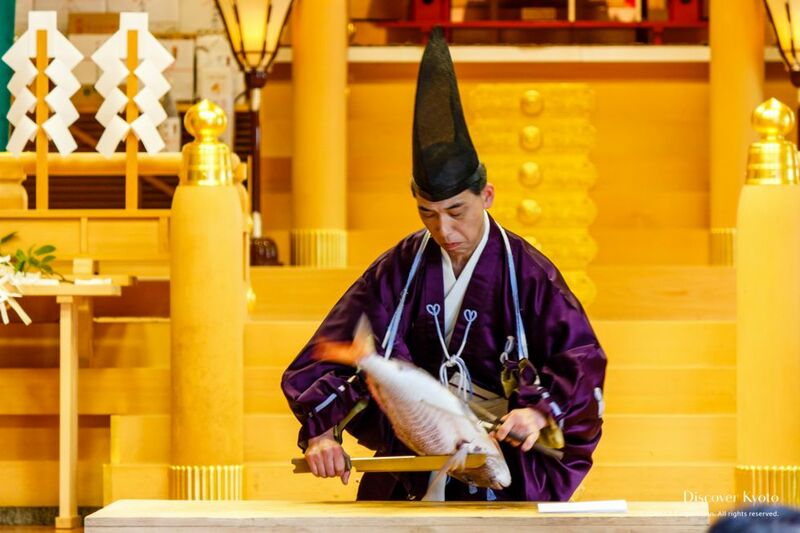 Originally held as a rain-calling ritual, the Mizu Matsuri (Water Festival) at Kifune Shrine now serves more as a way to show the gods gratitude for the water in our lives. 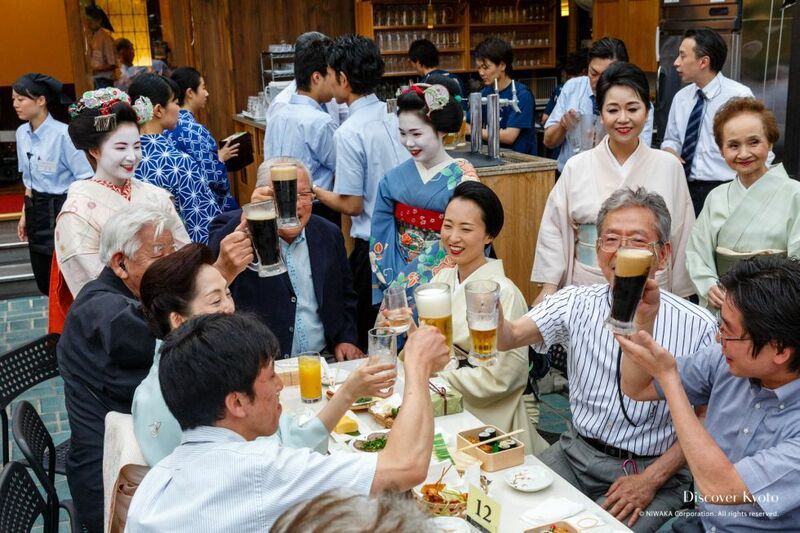 Mimuroto-ji hosts the Hasuzake wo Tanoshimu-kai, or "Meeting to Enjoy Lotus Sake" in July. 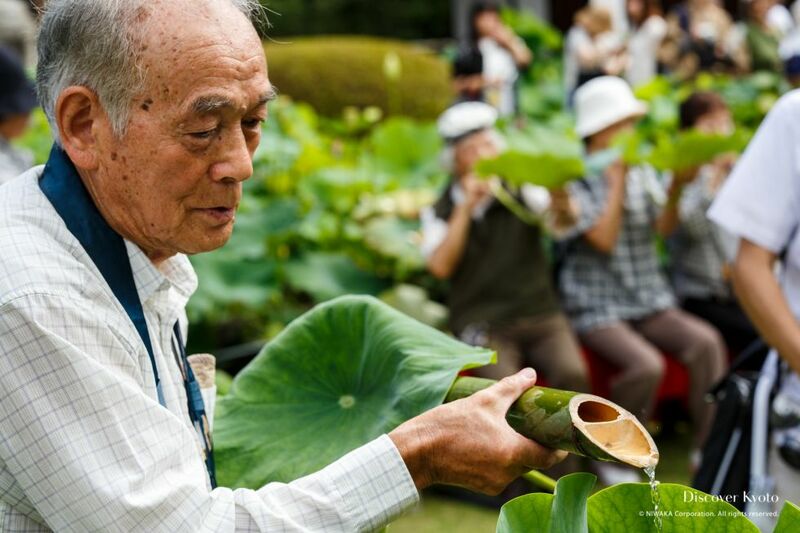 Tradition says that drinking from a lotus leaf stem is good for health and long life. 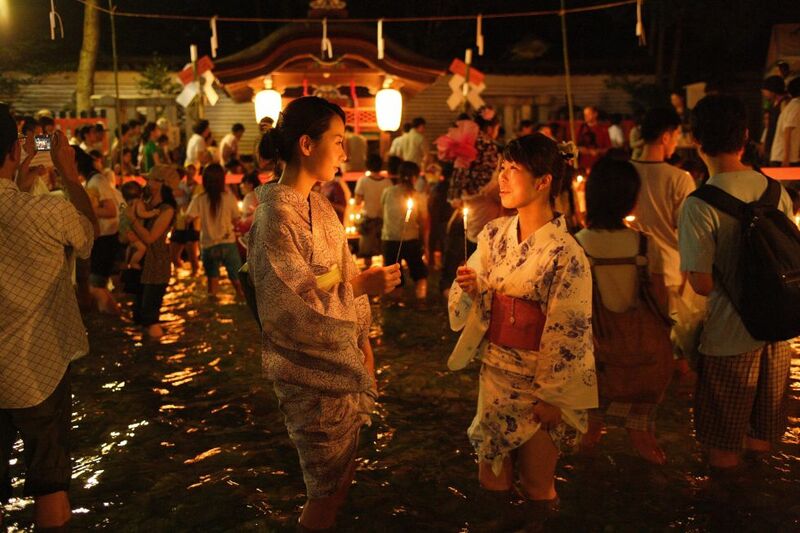 Eighteen days before the official start of autumn, Shimogamo Shrine holds the Mitarashi Festival on their grounds, where people wade through water to the Mitarai-sha subsidiary shrine to pray for their health. 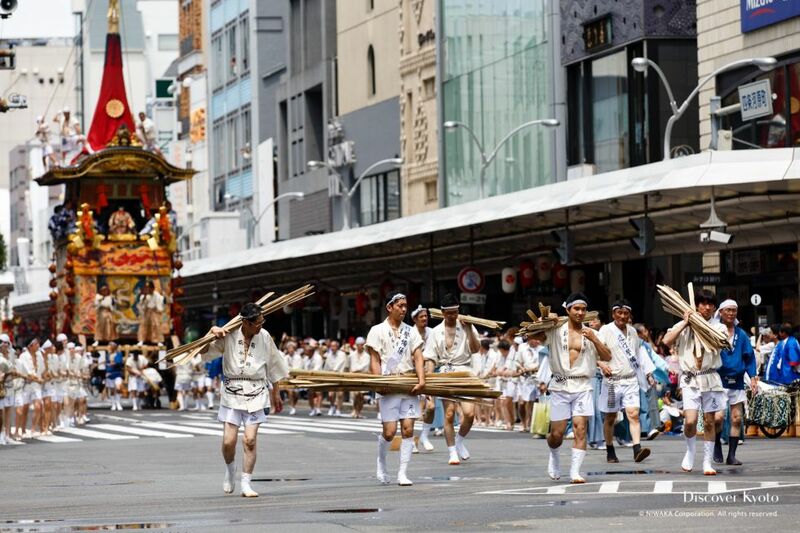 Throughout the two days of the festival various performances are held to entertain those who come to pray, including taiko drum concerts and dance exhibitions. A Motomiya-odori dance is also held in the evenings. 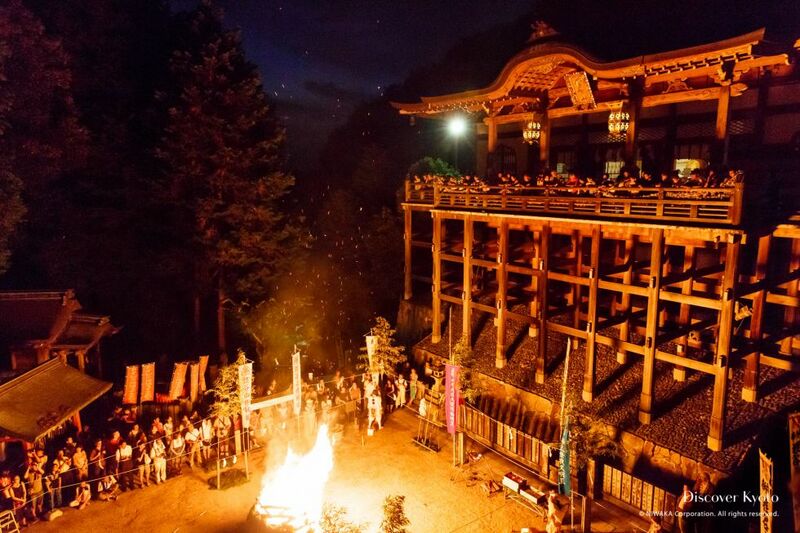 One of the rituals at Tanukidani-san Fudō-in associated both with Shugendō and Fudō Myō'ō worship is the Hiwatari Matsuri, or Fire Walking Festival. The midsummer Day of the Ox, Doyō no Ushi no Hi, is a day when many Japanese people choose to eat eel, based on a tradition started in the Edo period. 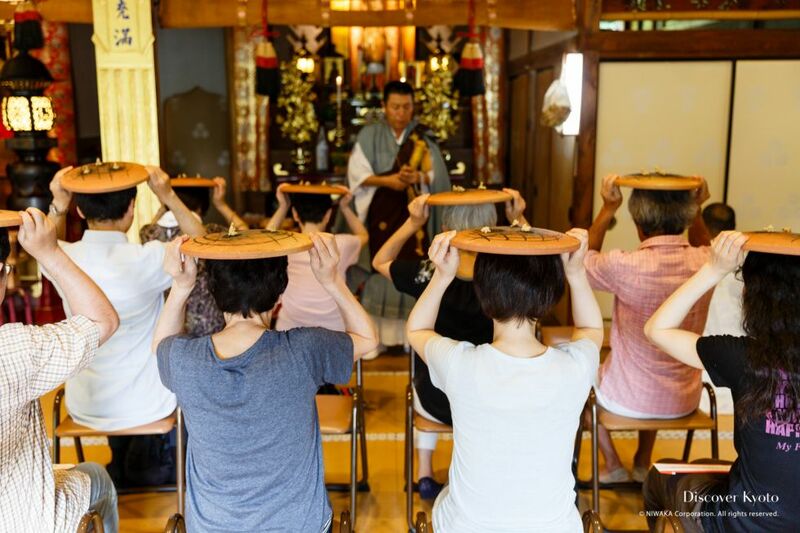 But at Sanbō-ji temple in northwestern Kyoto, it's also a day when a series of summer rituals is conducted to bring participants good health, prosperous business, and the ability to beat the Kyoto heat! 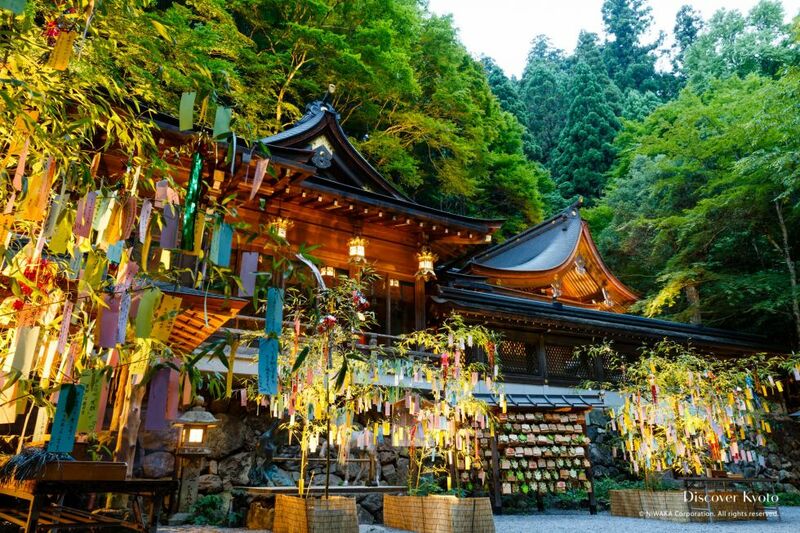 Visiting shrines at night provides a totally different atmosphere than visiting during the day, and you'll find Kifune Shrine otherworldly when illuminated with traditional Tanabata décor.